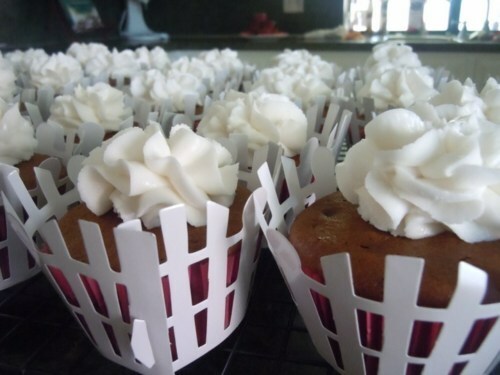 Most of you can probably guess that I bake A LOT. But what you might not know is that I bake with a purpose. 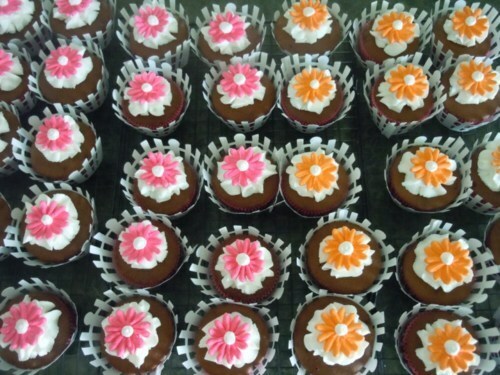 Today I got to make chocolate cupcakes for someone’s baby shower. 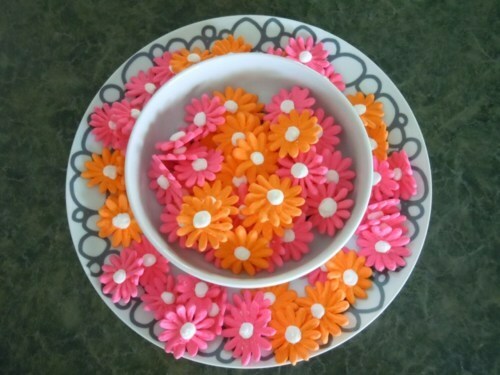 I knew the theme was pink and orange Gerber daisies, so earlier this week, I spent the afternoon making some out of royal icing. 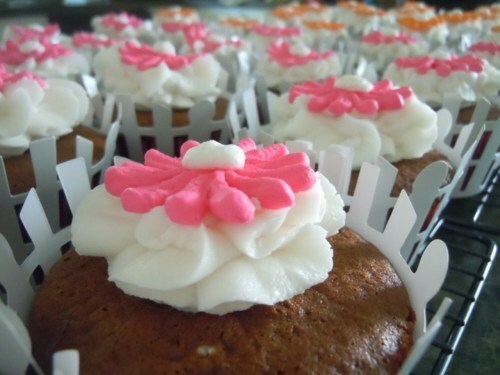 I needed a few days for them to harden so that I could place them easily on the cupcakes. Ooh, pretty! 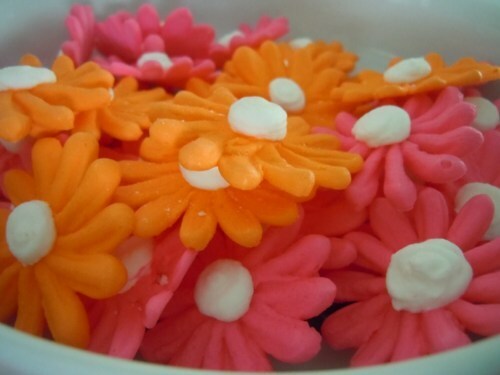 Gerber daisies are SO summer-timy aren’t they? 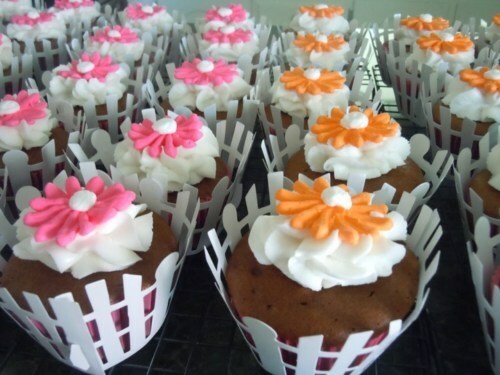 I decided to add these cute picket fence liners around the cupcakes because along with the chocolate, I felt like I was looking at a cute lil’ garden. 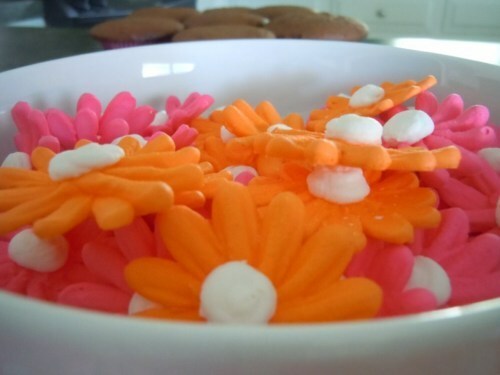 Pretty please with a daisy on top?